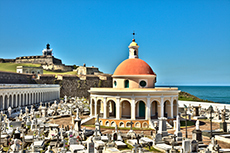 San Juan, the capital of the commonwealth, is a big city with a bustling business district, glitzy resorts and casinos, as well as one of the most stunning examples of colonial life in the Western world. Old San Juan is a 465-year-old neighborhood that originally served as a military stronghold. Within a space of seven square blocks, you'll find over 400 16th and 17th century buildings that have been carefully restored for commercial and residential use. Noted for its biodiversity, the forest is home to more than 400 different plant species. With sites and activities such as hiking, picnic pavilions, stone towers, rivers, waterfalls, and a visitors' center, it's a beautiful adventure for everyone. 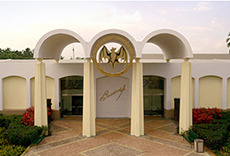 Visitors can enjoy an interactive tour through history, observe the production process, and experience the party spirit of the Bacardi brand. Indulge in the gastronomical experience of preparing your own native dish: Mofongo. 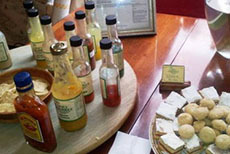 Freshen up your thirst with a delicious Mojito cocktail, become a Chef for a day and find out how this incredible Puerto Rican meal is made. Kick back and relax on San Juan's sandy beaches while a friendly attendant brings you rum punch or other island favorites. 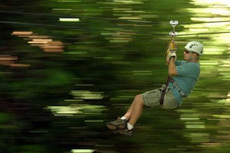 Enjoy one of Puerto Rico's tropical forest reserves while on an exhilarating zip-line adventure. A San Juan horseback riding excursion takes traveler's beachside for a scenic ride in the sand. 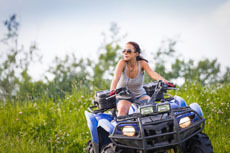 This horseback riding trip will make you feel like you're in a scene from your favorite movie or romance novel. Venture off the beaten path into San Juan's lush environment. 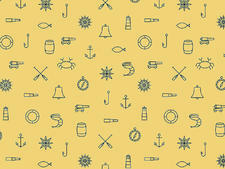 Great for all levels of experience! 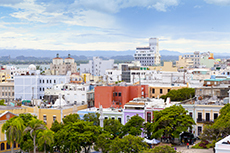 Known as "The Walled City", San Juan is the oldest city currently inhabited under the American flag. 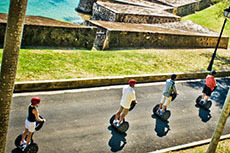 Here, Segway Tours are an increasingly popular way to explore. The Segway PT is easy to learn, fun to ride and an experience you will want to relive again and again. 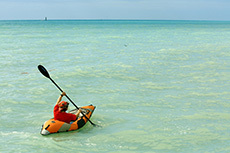 Enjoy a kayak adventure to Laguna Grande, one of the only five year round bioluminescent lagoons in the world. When in San Juan, snorkeling makes for a full day of fun in the Caribbean sun. Typically, lunch and drinks are included making this snorkeling excursion an easy way to enjoy some time off the ship. 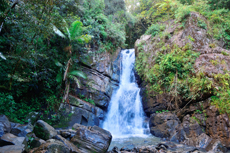 Hike through El Yunque National Forest along the Caimitillo Trail with stops at the Yohaku observation tower and Coca Waterfall. 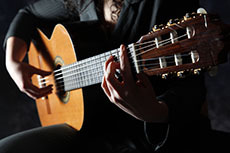 Indulge in a display of Puerto Rico's heritage with a flamenco show. Dancers perform to the tunes of the Spanish guitar. Surf's up in San Juan! 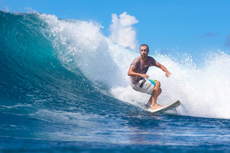 Whether it's your first surf with an instructor or you're a well seasoned surfer, you'll enjoy the refreshing waters while getting in some rigorous activity. El Morro: Check out the historic sites of Old San Juan, including on of its most famous forts, whose original parts were completed in 1539 (and which successfully deterred would-be colonial powers from capturing the island). Tours are from 11 a.m. to 3 p.m., with an entry fee for adults, though the fee also covers the cost of San Cristobal Fort. Bacardi Rum Factory: This is commonly offered as a ship-sponsored tour, but it's easy to go on your own, too; take the ferry (which leaves from Pier 2, right next to the cruise ship dock, every half hour and costs $1, roundtrip, for the six-minute ride) to Catano, and then catch a bus or ferry for the 10-minute ride to the factory. (Don't walk -- it's long and hot.) The factory itself is lovely. There are gorgeously landscaped grounds (lots of hibiscus), an open-air pavilion for Bacardi-influenced drinks, a gift shop and a tour that can lead into your very own mixology course if you upgrade your ticket. El Yunque: It's hard to visit San Juan and not be drawn to El Yunque, the only rainforest designated as a U.S. National Forest. 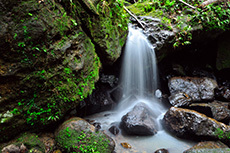 Located about an hour south of San Juan, you'll see numerous waterfalls, ferns and wildflowers along the marked trails. Because it's a rainforest, it will probably, well, rain during your visit -- so pack a slicker. The Beach: While Old San Juan doesn't really boast any of its own, the beaches in the nearby areas of Condado and Isla Verde stretch along high-rise hotels and are a 5- to 10-minute taxi ride (longer during rush hour) from the cruise pier. For Golfers: Bahia Beach is a hidden treasure; a car rental is required to get to this out-of-the-way, 18-hole public course that sits at the base of El Yunque and fronts the sea with a gorgeous beach, framed by palms and palmettos. Being totally public, it's also open to non-golf-playing visitors (though the club does request that you politely ask permission). Golf clubs are available for rent. Best Beach for a Half-Day Visit: The beaches that run in front of Isla Verde's luxury hotels (about a 20-minute cab ride) are the best for short visits; ask the cabbie to drop you off at the Ritz-Carlton or the El San Juan. Best Beach for the Dedicated Beach Bum: Luquillo Beach (near El Yunque) is a real locals' haunt; there, you'll find long stretches of sand, water sports equipment rentals and a great line of food stands, offering classic Puerto Rican beach food. Best Secluded Beach: The aforementioned Bahia Beach is great for those looking for some peace and quiet. Pena, located in front of El Capitolio (the capitol building), is a local gem in more ways than one: it's super close to the city and offers a delightful array of seaglass.